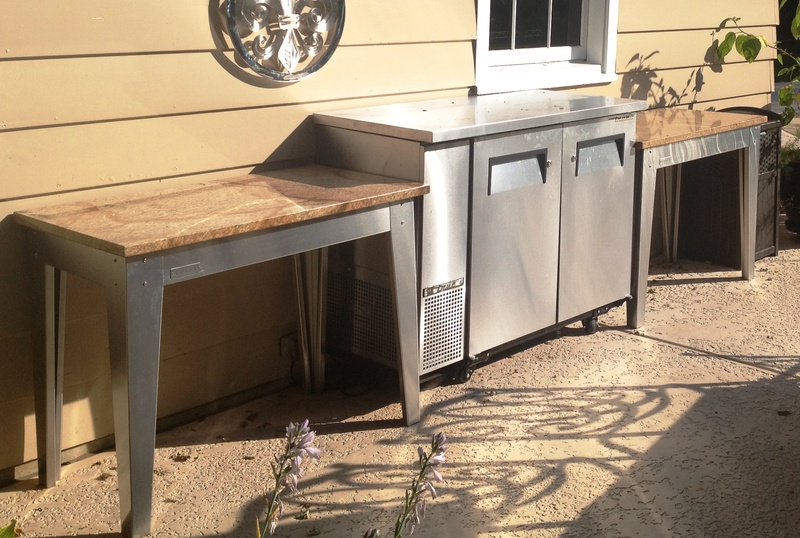 Brushed 304 stainless steel looks fantastic and is incredibly durable. This simple solution is elegant and extremely durable. 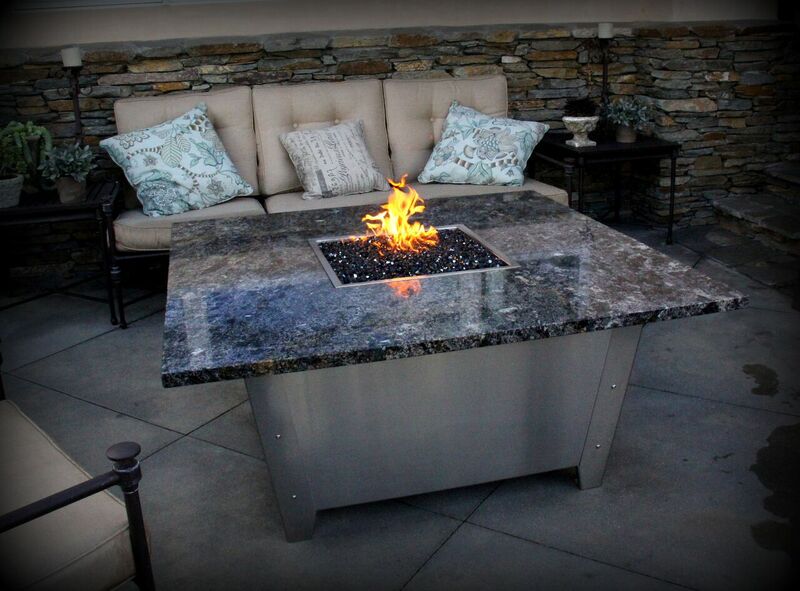 The brushed finish gives this steel a smooth matte finish and a texture that darkens nicely in low light. 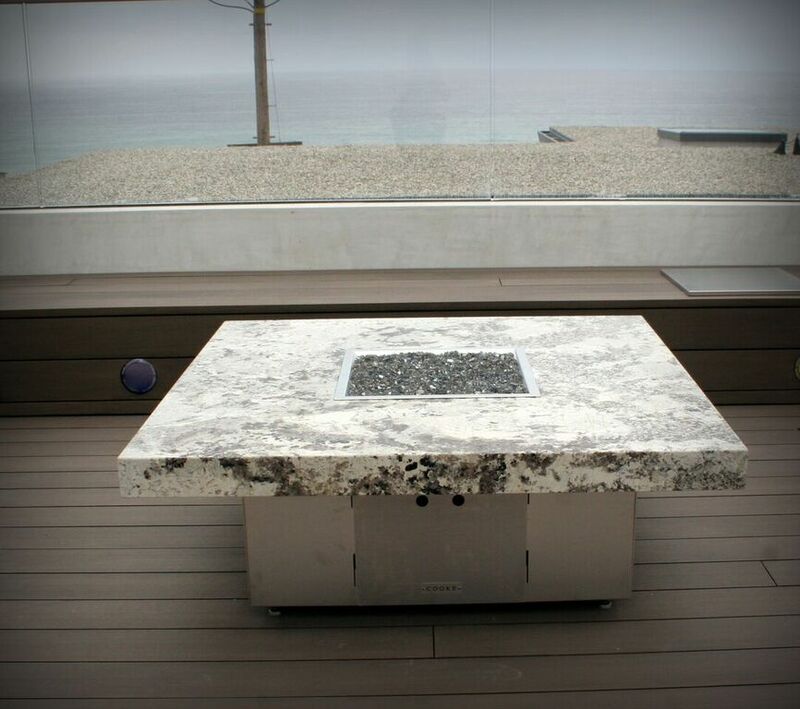 We love pairing the our brushed stainless bases with neutral colored stones and Dekton or Neolith fire pit table tops.